When the first web boom came around, there was just so much promise and optimism. People were able to combine artistic and business creativity with the Internet, which made it possibly to connect with anyone around the globe for dirt-cheap. During the first web boom, everyone had an idea for a billion dollar site. People were getting rich left, right and center. The guy that you used to go to high school with was now running a $3 billion dollar online broadcasting company and was now worth over a billion dollars. The girl that you used to date was now working in Silicon Valley, and her stock options were going to be worth more than $3 million dollars when her company went public. It was truly an exciting time, and seemingly everyone was getting rich. Then, the bubble popped. Stock prices dropped like lead weights, and most people lost an embarassing amount of money being invested in web companies that used to seem like good money-making ventures. Now they were just silly. Of course, the top of a market usually comes when everyone decides to get in, so many people bought in at the top and lost a ton of money. They sold their now worthless stocks, and turned negative on the Internet in general, and especially the idea of making money on the Internet. "It just won't work," they thought. With that, the "black days" of the Internet crash era began, and lasted almost two and a half years. You know, a lot of people don't like Google. It's easy not to like a company that is worth hundreds of billions of dollars. Most of the people that work at the company are very, very smart and very, very rich. You can see why some people would have a bad taste in their mouths when they think of Google. 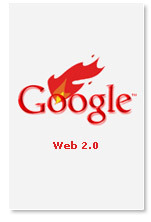 The fact is, Google almost single-handedly began the Web 2.0 boom. Instead of a small number of companies being worth billions of dollars, the Web 2.0 boom is about the average Internet entrepreneur being able to make hundreds of thousands of dollars just by running a one man operation. There are literally hundreds of ways to make money on the Internet now. Every word of content that you write can be monetized. That article that you wrote on how to give your dog a bath? Well that article can now make you money when you sleep. Companies are realizing more and more than the Internet is the perfect advertising medium, as they can closely track their spending and most importantly, the effectiveness of their ads. There is a big reason why the movie "300" was so popular. 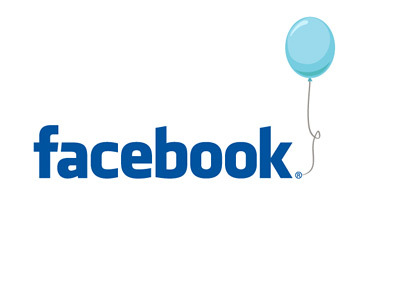 It is because the Internet was a main pillar of the advertising strategy for the movie. When asked where they first heard about the movie "300", over 70% of the people that were polled who had seen the movie said that they heard about it on the Net first. That's powerful data, and companies are taking notice more and more. So if you were running that dinky little website, you probably noticed that hey, you were making a $1 a day from your Google Adsense clicks. If you are a normal business person, you probably start to think, well what if I had 5000 unique visitors per day? That could be a big chunk of money? So, millions of pages and unique and original (and also garbage and ripped off) content was created. Focus was put onto link exchanges, buying of traffic and creation of good quality content. Google made money, the web site owners made money, and the Web 2.0 boom had begun. With that, many other contextual and non-contextual advertising companies were born. People started to realize that you could in fact make a lot of money on the Internet, and most importantly, with very little overhead. Affiliate marketing really took off, and people branched off from just Google Adsense to lead-based offers and other such money-making schemes. Small-time Internet entrepreneurs became virtual takeover artists, buying competitor websites and expanding their empires. The boom still goes on today. I own over 20 web sites, and have been doing this for years and years. The avenues for making money on the Internet are mind-boggling and seem to grow every day. You don't hear about Web billionaires anymore, but you sure do hear a lot of people making their livings online. I know literally hundreds of people that are making their livings online, in a variety of ways. This is what the Web 2.0 boom is all about, and this is why it will continue. Businesses are spending online because they are making money online, and they can easily track their expenditures vs. their profits. Businesses aren't all of a sudden going to say "We aren't advertising on the Internet anymore." The Net is EVERYWHERE, and is by far the most personal and effective way to advertise. We have Google to thank for all of this. Google kicked off the Web 2.0 boom, and because of that, they are worth every penny of their $155.9 billion dollar market cap. Bless the GOOG.